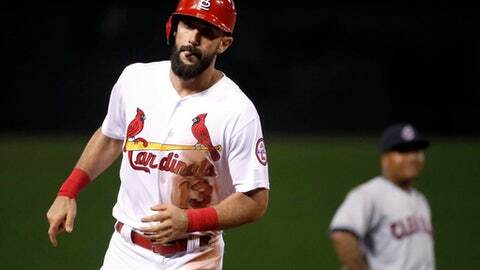 ST. LOUIS (AP) Matt Carpenter helped the St. Louis Cardinals beat two-time Cy Young Award winner Corey Kluber in a way no one has before, then he stuck around to make some history of his own. Carlos Martinez (4-4) settled down after a rough first inning for his first victory since May 2. He had lost three straight decisions over his previous five starts. He went six innings, allowing two runs, six hits and a walk while striking out eight. Jose Martinez’s 12th home run, a three-run blast to left field, chased Kluber. Kolten Wong added a two-run shot in the third, his sixth of the season.